GreenHow is your source for eco friendly pest control solutions in the greater Boston area. We focus on organic, low impact - green - environment friendly pest control solutions for your home and lawn needs. We share your concerns and are focused on providing pet friendly, natural and organic ways to fight pest and termite problems. Let us help with your ant, termite or other pest problems. I have been using Greenhow for about 8 months now. Haven't seen a carpenter ants or mouse since! Great friendly service, highly recommended if you're have any pest problems. We have been using Greenhow for several Years. They provide excellent service and are always very responsive. Dennis was great! He was very thorough and spent time explaining where the moths lay their eggs and what they eat so we can help with prevention in between visits. He also spent a lot of time cleaned the bottom of our closets to get rid of lint, etc. Can I request Denis as our technician in the future?? Arrived on time and been effective so far (2 months). We've been using Greenhow for various services for about 8 years. Sean Greenhow, the owner, came out for the initial visit to discuss organic treatments for carpenter ants and tics. We now use them for quarterly check-ins (interior and exterior of the house where they look for any pests, mice, etc. and they address any concerns that you have at that time), removing wasp nests, lawn aeration & overseeding, and organic treatments for outdoor shrubs. All of the associates we've worked with at Greenhow are not only extremely professional, they are always prompt, thorough and very friendly. Though a bit more expensive than I would like, I have been happy with the service I received so far. Have been using Grenhow for about 2 years. Everyone is reliable and professional. Greenhow is professional in what they do. Responsive and thorough. This was the first visit for an inspection and putting out traps. Steve did an assessment prior to this and said that when the men came to lay the traps they would bring a tarp and a vacuum as I have a ceiling hole that needs to be opened and debris is within. Unfortunately that did not get communicated to Henry or Mike so they came without and now we have to re-schedule so that traps can be placed in the opening. Other than that the two were polite, efficient and knowledgeable. I've been using GreenHow for a few years now for mice and carpenter ants. They are very professional and work to solve problems at the source. I would highly recommend them. We really like the products Greenhow uses and the results have been excellent! Easy to schedule appointments and the technician is very personable. I have been satisfied with Greenhow service. Michael in particular was very knowledgeable and thorough, finding a mouse in a trap located where, I suspect, it was overlooked by other Greenhow representatives. Greenhow is a great company that I have been using for many years. Sean runs an excellent business and knows how to deliver top notch customer service. We have never had a problem that they could solve and solve quickly. I have recommended Greenhow to many others and they have also been very pleased. We have used your pest control services for several years. It has been effective for the most part. everyone who has come to the house has been very friendly, helpful, and courteous. Using for about 9 months. They've done a great job. Very responsive and knowledgable... and, got rid of our ant problem! they do great work. Been using them for years. Reliable, honest and do a great job. Great communication and efficient personable staff. I've been using greenhow for 6 months for termite and pest control. They are professional, respectful, and efficient! I appreciate the little things like putting on shoe covers when they enter my home and sending the reports immediately after they provide a service. We've been using Greenhow for about 9 months now and we have them come quartly and then have used the free call backs as needed. Every technician comes with great knowledge and has been extremely friendly. We couldn't be happier! GreenHow has successfully kept ants out of our house! Greenhow is great! Super friendly technicians and really helpful, plus it's pet friendly. Since August 2006 for mice. Love them for the flexible and responsive service. Using Greenhow for a couple years now for routine maintenance. Prompt, knowledgable, and professional every time. We have been with Greenhow since June of 2016. We used the wildlife exclusion and continue to use the quarterly pest control management service. Our technician, Henry, has gotten to know us and our prior issues, and tailors his response to fit our specific needs. I have already recommended GreenHow to my brother-in-law, and would recommend it to anyone looking for a quality service. I've used this service for about 3 years.. they are always pleasant, professional and in time. We started using Greenhow this Fall. After years of using other service providers who were unsuccessful, Greenhow easily solved our mouse problem by sealing areas where they might be coming into the house and using the appropriate traps. Their service is very timely and always clean. Hank was very helpful and also great to work with. Have been using Greenhow for six years. Super reliable and responsive, and the technicians are always friendly and helpful. They remember me and my house when they visit -- clearly there is an effort to get to know the clients and keep tabs on ongoing issues. Pest control (ants, mice, bees). These guys are awesome. They listen to us about not spraying our herb garden and so forth. We have been using GREENHOW for a couple of months and have been extremely happy with our service. Techs are always friendly and on time. They are also knowledgeable about our pest issues and are effective with their solutions. Have been a customer for at least 6 years. Initially used them fertilizing services and have now added pest control. Very reliable, very attentive to customer's issues. Super nice crew, clean efficient and knowledgable. 5 years always responsive and helpful, great service! would definitely recommend this company to my friends. I like Greenhow, one of the few honest contractors I have dealt with. I've been using their services for the past three and a half years to control and monitor pests. They've helped with the usual indoor creepy crawlies, but have also helped with securing the house from mice, two bees nests (no extra charge), carpenter ants (no extra charge), termite monitoring (no extra charge), and a mole that tore up my year (extra charge). They come on time, are polite and respectful of my property. 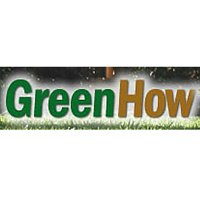 I have been using Greenhow for my lawn care and pest control for several years and find their services exceptional. The company's work is excellent, the employees courteous and professional, the billing process efficient and user friendly. Sean Greenhow understands how to please clients through good customer service. We have been with Greenhow for more than 5 years now. They have been terrific that whole time. Sean, the owner, and Hank, our technician, have been very responsive, personable and professional. We've depended on Greenhow for many years now. We love their natural approach to pest control - especially since our house is surrounded by woods. I've been using Greenhow for almost two years now and have been very pleased with the quality of service. Have been using Greenhow for several years for pest control. Service is always timely, friendly, and appropriate to whatever I indicate needs to be addressed (for example mice, bugs, etc).